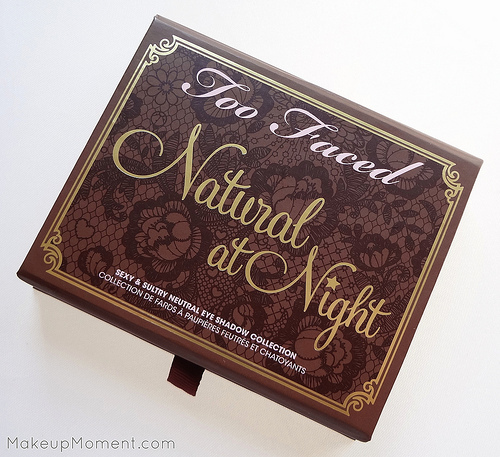 So apparently, my neutral eyeshadow obsession doesn't look like it will be subsiding anytime soon, with my latest acquisition being Too Faced's Natural at Night Eyeshadow Palette ($36.00). This neutral themed eyeshadow palette contains all the shadow colors you need to create sultry neutral eye looks, in no time. All of the eyeshadows in this palette are amazingly beautiful and high quality. These long lasting shadows all contain a smooth texture, and the pigmentation is just as nice, with a bit of product always going a long way. I like that this palette has a nice variety of finishes-shimmers, glitters, frosts, and a few basic mattes added in, for good measure. A few of the shades are prone to fallout-especially full moon and night light. Those glitter particles are super chunky! 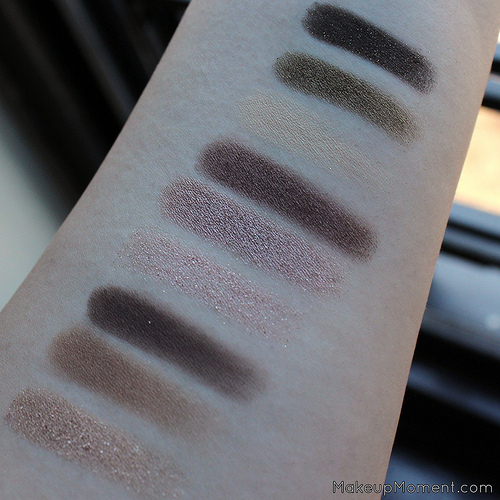 But the fallout issue is not so much a huge deal that it deters me from loving this palette. I find ways to work around it because honestly, I think these lovely shadows are worth it. To minimize the fallout, I pat on the shadow instead of swiping it on. It also helps to apply a cream base underneath, so the shadows can have something to stick on to. 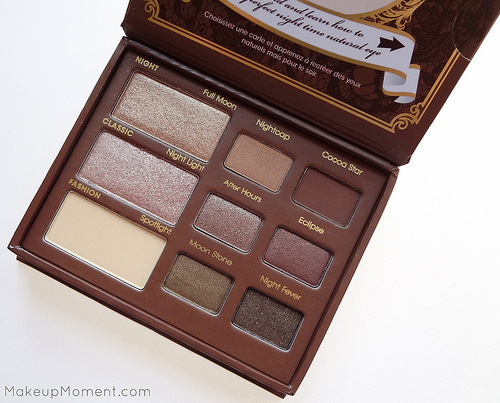 Overall: The shadows in Too Faced's Natural at Night palette take neutral eye looks up a notch by featuring colors that can easily give off a smokier effect to a neutral eye, with very little guesswork. 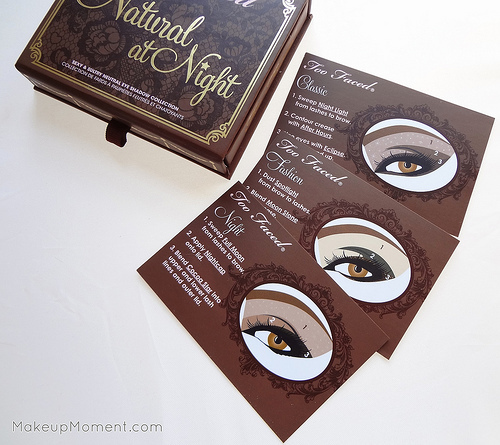 Use the included eye look cards for ideas, or get creative and come up with your own version of a neutral smokey eye. That's the beauty of this eyeshadow palette. Not only do the eyeshadows coordinate well together, but the looks that can be created with these is vast. You have a ton of variety here. And really, who doesn't love that? 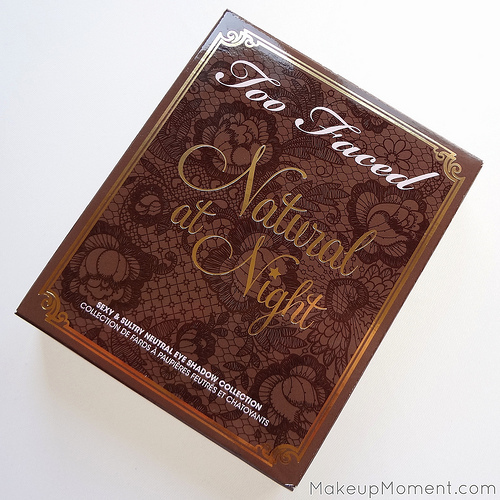 What do you all think of Too Faced's Natural At Night Eyeshadow Palette? Disclaimer: My blog is sponsored by Apothica.com. I was provided with a gift card, and I purchased this eyeshadow palette with the gift card funds. My reviews are always honest, never influenced, and my own. 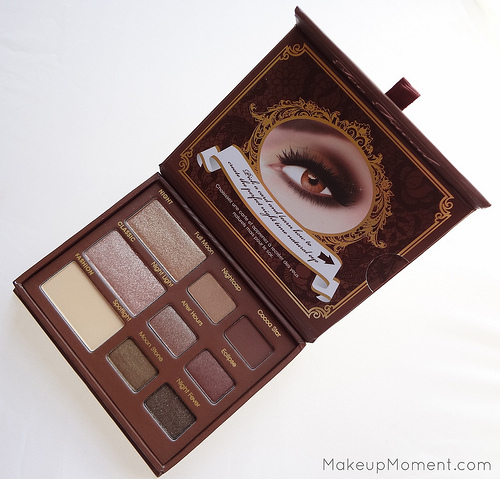 Oh dear, I wish I didn't read this :P I've been lusting over the palettes from Too Faced - the eye freaks me out, but the shadows are totally worth it. After hours and and Cocoa Star are my favorites out of this one! Yay! Aren't the shades stunning? Hmmm I am really tempted by this but I already have the original Natural Eye palette... do you think it would be worth it or not? Thanks for these amazing swatches! This palette is lovely! Now I'm going to have to go get it!